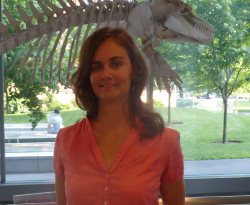 Amanda Veile joins Purdue University as an Assistant Professor of Anthropology. Amanda Veile is a biological anthropologist and studies the evolutionary, nutritional, and behavioral ecology of modern humans. Her PhD is from the University of New Mexico (2011), where she was a National Science Foundation Graduate Research Fellow. Prior to this appointment she completed a postdoctoral fellowship in the Department of Human Evolutionary Biology at Harvard University, and was a Visiting Assistant Professor in the Department of Anthropology at Dartmouth College. Dr. Veile’s research focuses specifically on infant and child development and maternal-infant interactions under conditions of resource scarcity and nutritional and epidemiological transition. Her research is grounded in life history theory (a branch of evolutionary ecology) and the mechanisms of human developmental biology. Her projects include: 1) Documentation of birthing practices, breastfeeding patterns and other maternal-child interactions cross-culturally to determine their relationship to infant development and health outcomes; 2) Examination of postnatal environmental conditions to assess their influence on infant and childhood growth and immune function; and 3) Monitoring community health profiles in isolated populations to identify novel health challenges associated with globalization. Dr. Veile conducts comparative research in indigenous communities throughout Latin America. These include Tsimane forager-horticulturalists of the Bolivian Amazon, Pumé savanna foragers of Venezuela, and Yucatec Maya subsistence agriculturalists in Mexico. These small-scale subsistence populations inhabit nutritionally and epidemiologically challenging environments with limited access to medical care. She uses a mixed-methods approach, combining ethnographic methods (interviews and systematic observation of behavior) with public health surveillance (epidemiology) and immuno-nutritional assessment techniques (anthropometry and biomarkers of immune function). Her research addresses the biocultural factors that influence developmental processes, ultimately culminating in global health disparities. For example, her recent publications examine the susceptibility and resilience of indigenous breastfeeding patterns to globalization and modernizing influences. Dr. Veile has published her research in The American Journal of Human Biology, Social Science and Medicine, and The Journal of Human Lactation.